RIM has already officially confirmed it will unveil the new BlackBerry 10 operating system at the end of January, but now it has sent out the press invites for events in multiple cities across the globe, and when it comes to the United States, BB10 will get unveiled in New York City on January 30th. RIM has also scheduled an event for the same date In Toronto, Canada. The company has promised to first introduce an all-touch BlackBerry 10 smartphone, followed by a Bold-like physical QWERTY device later on. “Re-Designed. Re-engineered. Re-invented.” That is the motto for everything BlackBerry 10, but we’ll know much better how it all fits in the general picture right after CES 2013 in mid-January, the largest consumer tech show for next year. Stay tuned. how about, amphitheatre parkway, mountain view, ca ? Does this mean The would be at the carriers on the 30th? 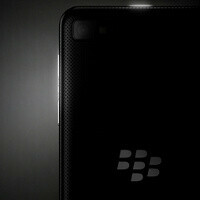 no, not yet...on jan 30 they will just announce those BB10 device..but the actual device will come of February! but the QWERTY one might still come later... but rogers already announce reservation for BB10 devices! even though the actual device is still unknown! So would this mean Apple stocks crash further after Jan 30th ? oh y gosh!! so excited even more!!! new york!! but i just hate the fact that the full touch screen already leak, and im pretty sure that was the real device..just like the iPhone 5 and the ipad mini! now its all up to the QWERTY device! but i think if RIM will out the dev alpha c, the dev alpha that is a QWERTY one, and i also think it will look like the actual device! Waiting for Torch 4............. Rim bring it out.. I wish you good luck.